One time I found a burgundy-colored Manzanita branch lying on the corner of Page and Clayton in the upper Haight. I nailed it to my wall, hung dozens of pairs of earrings on its delicate branchlets, and inadvertently created the most commented-upon piece of functional art in my room for the next three years. The lesson here? Sticks and branches have a ton of character, as both these towel hangers and this arbor will attest. 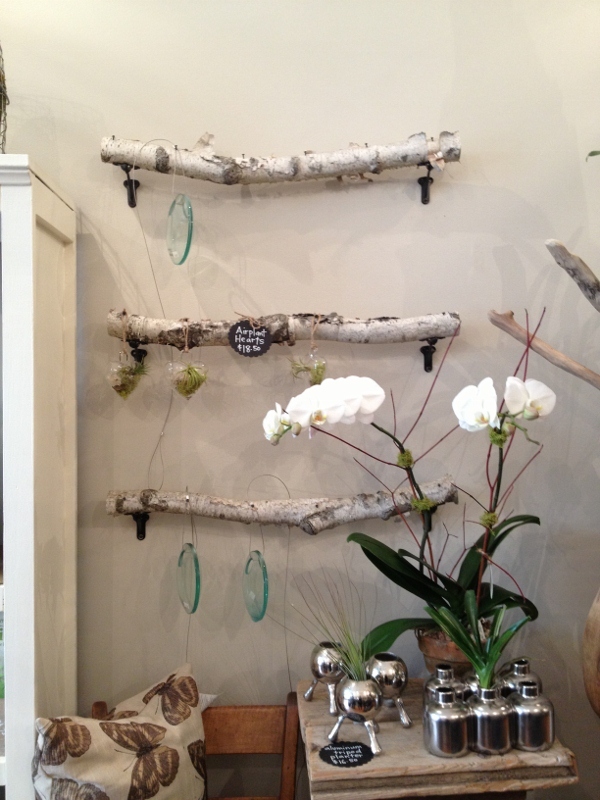 They’re simple, striking, and free, and can create a structure in itself (the arbor) or liven up a wall with texture and dimension (the hangers). 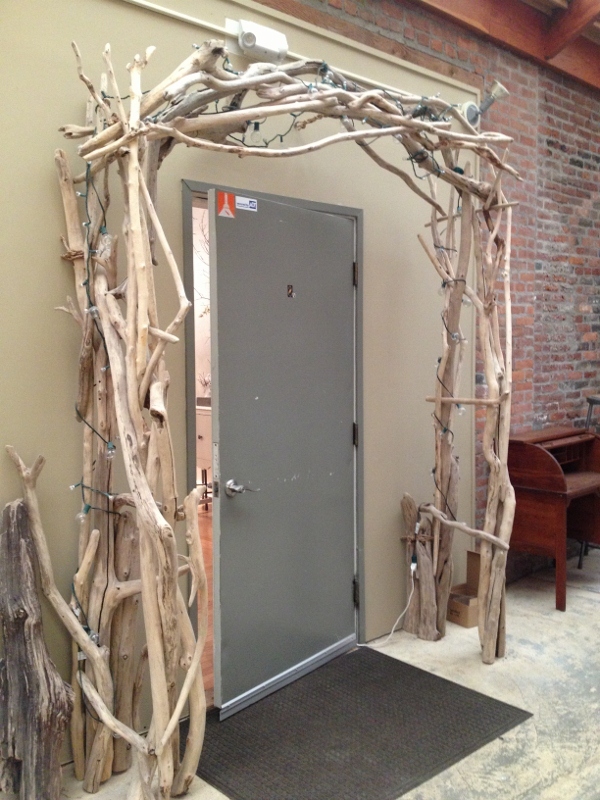 Note the tiny lights woven throughout the arbor, creating a whimsical nighttime sculpture.